The USS Constitution was commissioned in 1797. 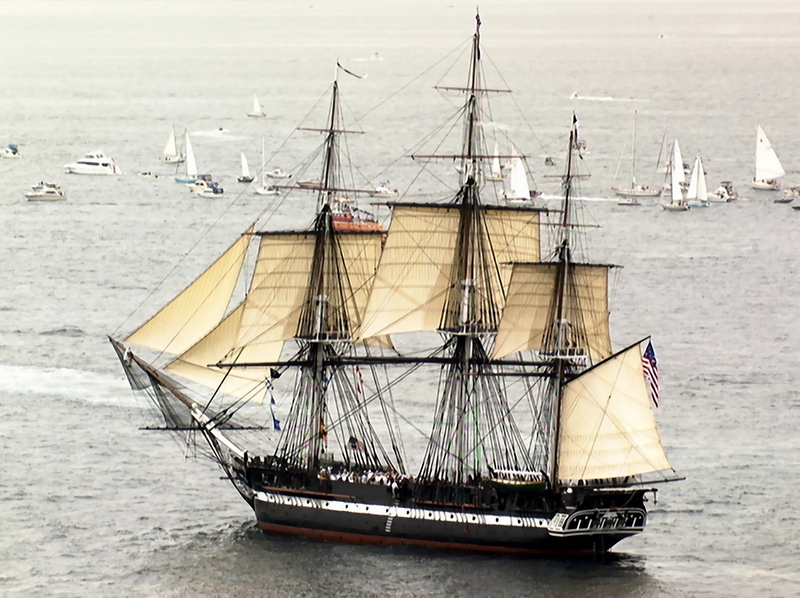 She earned the nickname “Old Ironsides” during the War of 1812, after winning a point blank battle with the British ship Guerriere. She would come to represent American freedom on the seas. But in 1830, the US Navy made plans to destroy the 33 year-old ship. On September 16th of that year, an outraged university student penned this poem bearing the ships name, set to music and sung here by Tom Glazer. The poem inspired a public outcry, and the Navy abandoned it’s plans. And the student, it was later revealed, was none other than a young Oliver Wendell Holmes. Thanks to the power of poetry, Old Ironsides is still floating about these days. Find out where, and read the poem. ← Previous: Feel Like Going to Town?